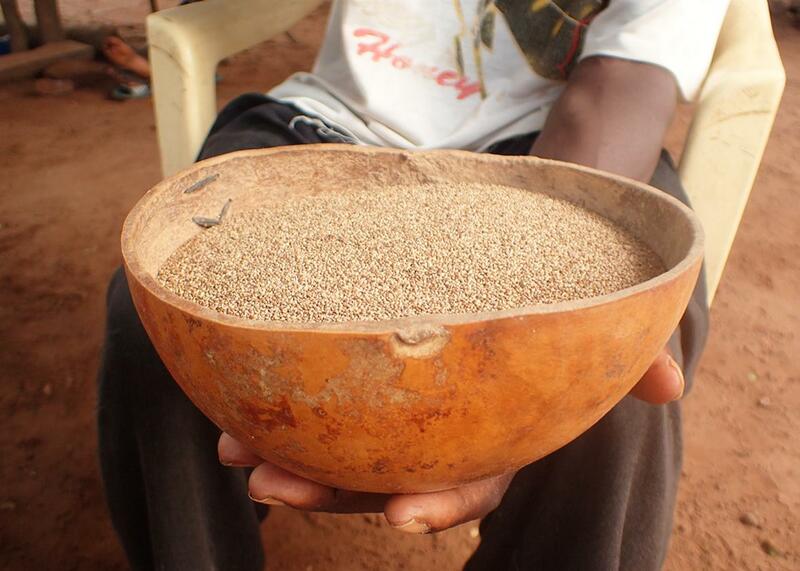 Fonio: Could this forgotten West African grain be the world’s next trendy superfood? West Africa’s indigenous superfood is coming back from obscurity and making an appearance on the world stage. A bowl of cleaned fonio paddy. It’s around lunchtime outside the village of Ndebou in Kedougou, the southeastern-most region of Senegal. In the middle of her field, Ansel Keita peers into a clay pot where a tiny, off-white grain is expanding by the minute. Under the shade of a nearby tree her sons rest, having spent the morning harvesting peanuts. Fonio (or acha, as it’s known in Nigeria) is a small grain, similar looking to couscous, but with a more substantial, nuttier flavor. It is native to the Sahel, the scrubland that sits between the Sahara Desert and the forests of West and Central Africa, and stretches from Senegal to Sudan. Not long ago, fonio was considered an “orphan crop” due to its neglect by agronomists and other experts. But today, this is changing, and the effects are being felt in rural communities like Ndebou. Fonio is in the same class of super foods as quinoa, teff, and chia seeds. The grain is gluten free and rich in number of amino acids, which are often absent in other major cereals. It’s easily digestible, and some varieties are rich in protein. Fonio also has a low glycemic index, making it ideal for diabetics. These nutrition benefits, attractive to Whole Foods patrons the world over, are lifesaving in the Sahel, where malnutrition continues to stalk vulnerable populations. Keita and her family say that fonio’s health benefits are just one part of the crop’s appeal. “Fonio doesn’t need a wet field or fertile soil,” says Alex, Keita’s son. “It likes this,” he says, pointing to the gravel underfoot. Fonio doesn’t require fertilizer, either, so farmers don’t have to spend money on inputs or risk depleting their soil. Clockwise from top: maize, de-hulled fonio, fonio paddy. But perhaps fonio’s greatest advantage is the speed with which it matures: between six to eight weeks for the fastest variety. In the Sahel, fonio serves as food insurance during the “hunger season,” the time of year when last year’s harvest has run out but this year’s harvest has yet to come in. Fonio is the lifesaving bridge because it is ready for harvest a month before other crops. Keita looks up from the clay pot and gestures at the fonio cooking away. “You see the importance of fonio!” she says. “We’re already eating it!” Meanwhile, her sons are just starting to harvest the maize and peanuts. With all these advantages, it seems fair to ask: Why isn’t fonio a staple food in West Africa? And why hasn’t it found its way to American supermarkets? Fonio may be easy and quick to grow, but until recently, processing it has been laborious and time consuming. When small-scale technologies that helped people process maize, rice, millet and peanuts came to West Africa in the 1960s and 1970s, fonio was ignored due to its obscurity outside West Africa. Production of the grain hit rock bottom in the late 1970s and stayed there for a decade. Then, according to data from the Food and Agricultural Organization, fonio production tripled between 1990 and 2014. Fonio’s revival was largely thanks to a new generation of African and European inventors, entrepreneurs, agronomists, and farmers whose collaboration brought fonio processing into the 21st century. The biggest innovations thus far have come from a series of projects by the French agricultural research center, CIRAD, and the national agricultural research institutes of Senegal, Mali, Guinea, and Burkina Faso. Together they have mechanized nearly every step and significantly reduced the labor and time required to process fonio. 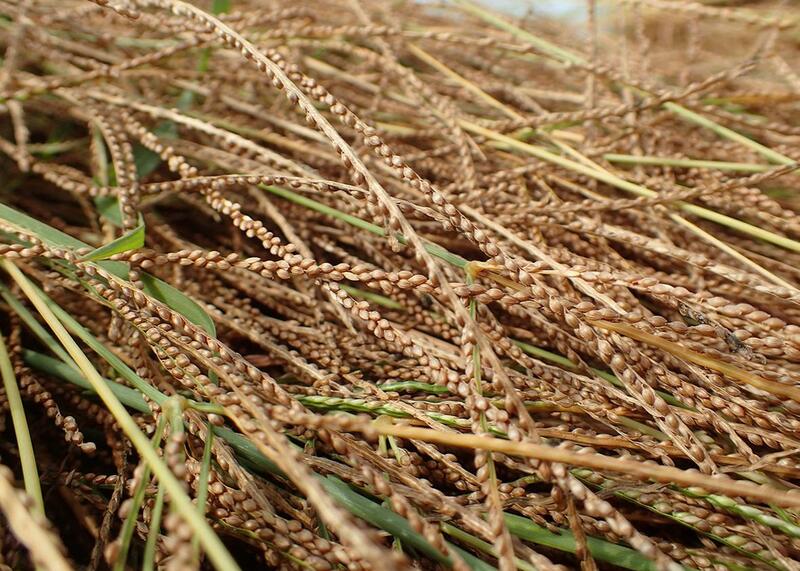 After harvesting, the tiny fonio paddy—as the grain still trapped in its inedible brown hull is called—must be separated from the stalk on which it grew. Threshing has traditionally been done by beating dried bunches of fonio with large sticks over tarps. 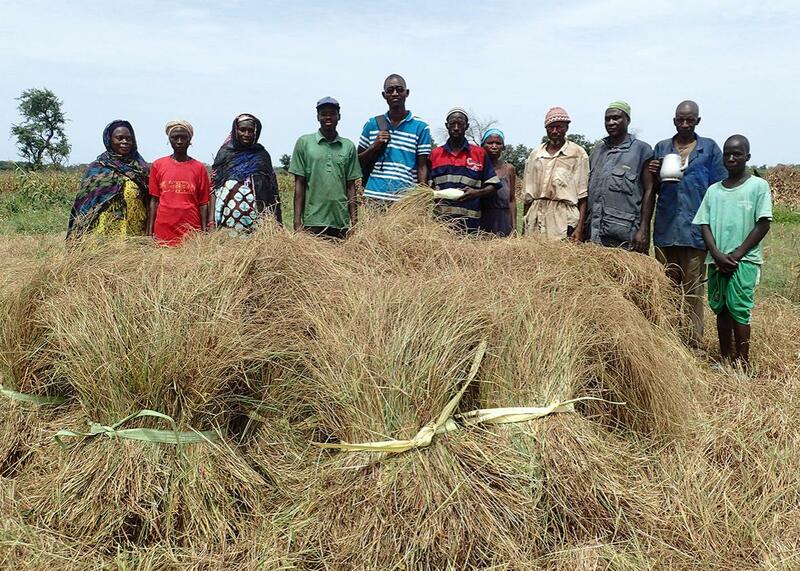 To accomplish the same task, technicians in Mali and Burkina Faso adapted rice threshers to be used for fonio. The results are promising: Adapted threshers process between 550 and 750 pounds in an hour, compared with roughly 15–20 pounds per hour using the traditional method. The next step is to remove foreign objects from the fonio paddy. To remove lighter pollutants such as straw, people traditionally toss fonio in the air and let the wind catch what it may. For heavier particulates like sand, women gently swish the fonio paddy with water in a calabash bowl. Sandy fonio is a common complaint of regional buyers. To improve quality and speed up the process, the researchers modified and invented four machines that take in contaminated fonio and clean it using either water or air. There are a few stages during the process in which fonio must be washed and dried. Customarily it is dried under the sun, but this also exposes the fonio to the elements. To address this, researches came up with a solar dryer—essentially a large greenhouse. In one day, the solar dryer can dry between 650 and 700 pounds of fonio without exposing it to impurities. Once the paddy is clean and dry, the hull must be cracked off and removed. Traditionally, women have done this by pounding with a wooden mortar and pestle. Throughout, they must winnow the fonio multiple times to sift out the broken hulls. The pounding is strenuous; in many communities, it remains the biggest barrier for farmers who want to make money from fonio. Diakite was the pioneer, but a de-huller created by a French–West African collaborative team a few years later is now considered superior. In the same time it takes to de-hull roughly three pounds of fonio by hand, the GMBF (Guinea-Mali-Burkina-France) machine can de-hull around 200 pounds. “There has been a strong revival of fonio production, no doubt thanks to the mechanization of processing,” says Jean-François Cruz at CIRAD. Kedougou is the homeland of this revival in Senegal. “When we started using that machine, that’s when production grew,” says Cheikh Gueye, a Senegalese agronomist and fonio specialist. 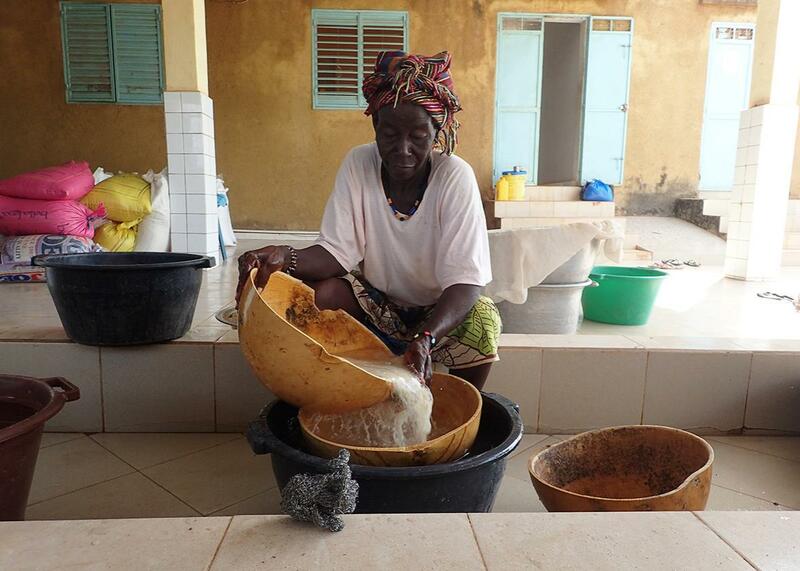 Gueye works at the Koba Club, the largest fonio producer in Senegal. The Koba Club works with farmers’ and women’s groups across the region, buying raw fonio, rice, and baobab seeds and processing them into products for consumption around the country. “Since we got that machine, we have persevered,” says Khassatou Diallo, the cooperative’s president. Wakilaré buys fonio directly from farmers, processes it in Bandafassi, sets aside a small portion for sale locally, then sends the rest to the Koba Club for quality control and national distribution. 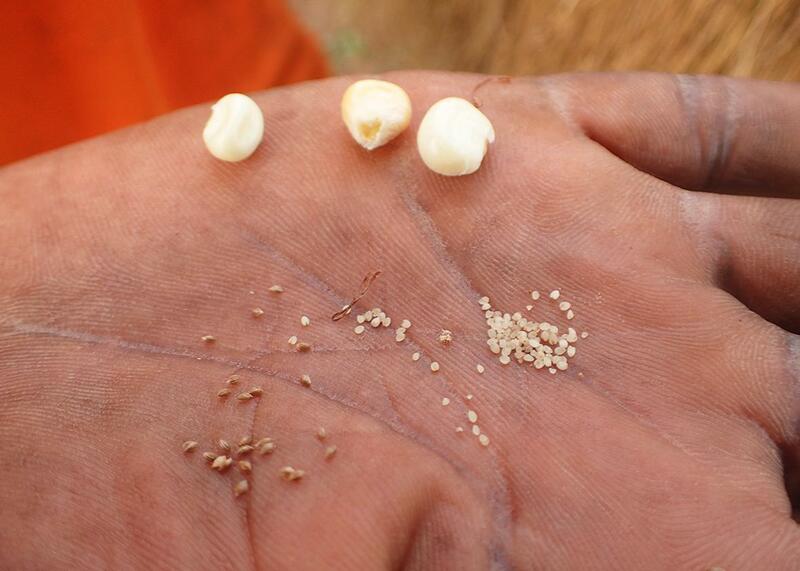 While the fonio revival is gaining traction in the Sahel, some are looking to bring this ancient grain to a global audience. New York City–based Senegalese chef Pierre Thiam has heightened the profile of West African cuisine in the United States. His new mission is to popularize fonio in the U.S. and help farmers across the Sahel. Their plan is to build the world’s first large-scale fonio mill in Dakar. 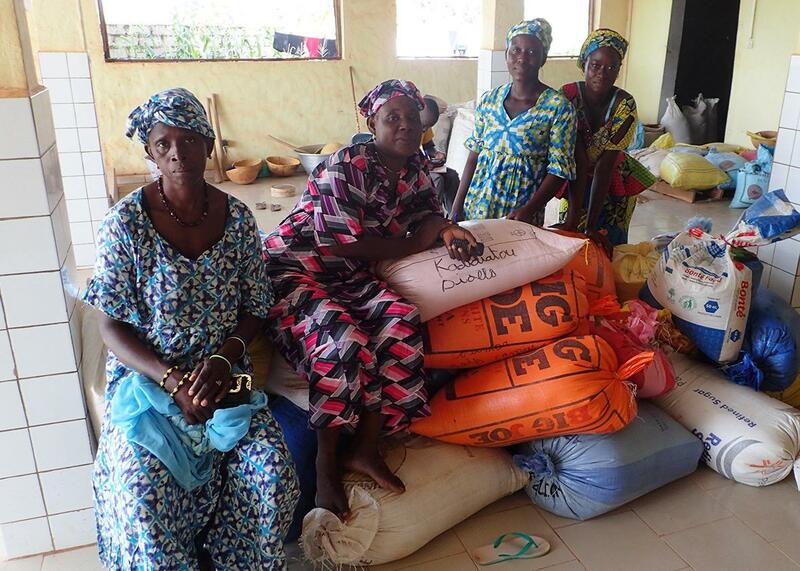 Producers from all over West Africa could send their fonio to be processed and packaged for sale throughout West Africa, Europe, and the U.S.
Yolélé hopes that the mill will help connect rural farmers with the growing global demand. On a national level, they expect large-scale processing will reduce the price of fonio, making it affordable and more widespread among Senegalese consumers. Local processors like Koba Club would have access to the larger market but also keep their local distribution networks. Koar Projet’s first fonio harvest. Hurdles remain. While processing has undergone significant evolution, people are still growing fonio the same way they did 200 years ago. Yolélé is working with SOS Sahel, a French nongovernmental organization, to address this issue. Researchers from the group will be applying modern seed selection techniques to breed for strains with increased productivity and nutrition. They are also experimenting with plant spacing and harvesting techniques. Cheikh Gueye is very optimistic about the future of fonio. This year he served as a consultant for the American NGO La Korsa, which funds projects in Senegal, during their campaign to re-introduce fonio to villages around Tambacounda, a region where fonio hasn’t been grown for a generation.